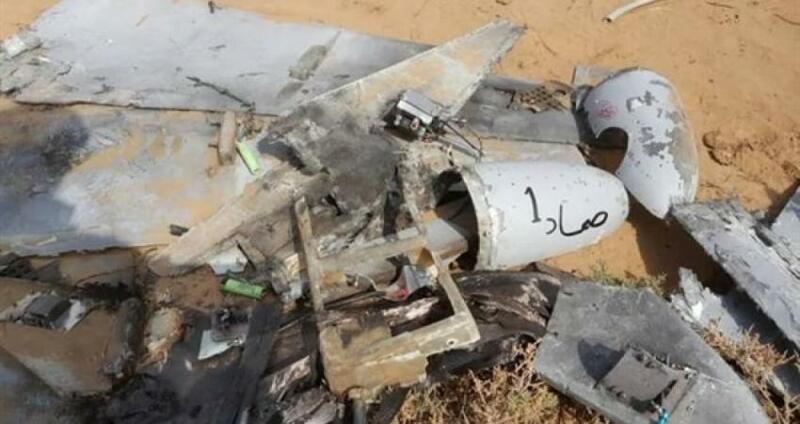 The Saudi-led Arab Coalition to Support of Legitimacy in Yemen, on Sunday intercepted and destroyed a drone was flown towards the Kingdom’s Asir region in the south-west of the Kingdom. Coalition spokesman Colonel Turki al-Maliki said in statement that the aircraft was detected by the air defenses on Sunday, adding that it was intercepted and destroyed according to the rules of engagement. He stressed that no one was injured and no damage was caused by the incident until the time the statement was prepared. He renewed the warning of the leadership of the joint forces of the Houthi group against targeting civilians and resorting to suicide attacks, saying such acts will lead to a decisive reaction by the coalition in accordance to International Humanitarian Law. Last month, the Arab coalition said its aircraft had hit two caves storing drones, as part of a campaign launched in January to destroy Houthi drones capacities. Houthi group has recently tended to use more unmanned aerial vehicles than ballistic missiles in attacking Saudi territories and Yemeni official forces. Saudi Arabia has been leading a military coalition in Yemen since 26 March 2015, in support of forces loyal to President Hadi to retake areas controlled by Houthi group (Ansar Allah) seen as proxy for Iran in the Arabian Peninsula country. The conflict has left tens of thousands killed, hundreds of thousands injured, and 3 million displaced.